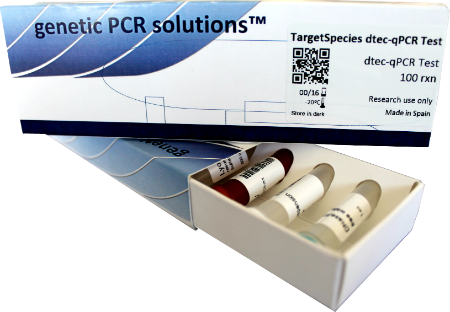 The CanAur dtec-qPCR Test comprises a series of specific targeted reagents designed for Candida auris detection by using qPCR. Candida auris is an emerging fungus which grows as yeast and one of the few Candida species which can cause candidiasis in humans. Healthcare facilities in several countries have reported that C. auris has caused severe illness in hospitalized patients with weakened immune systems. It can cause invasive candidiasis, in which the blood stream is invaded, the central nervous system, kidneys, liver, bones, muscles, joints, spleen, or eyes. Some strains of C. auris are resistant to all three major classes of antifungal drugs. This type of multidrug resistance has not been seen before in other species of Candida. For this reason treatment is complicated, because C. auris is easily misidentified as other Candida species.